Everyone loves to get a little inside information about the people who are behind the blog. So today, I'm going to answer a few questions for y'all. AND, I'm going to tag a few of my sweet blog friends to have them answer some questions that even I'm dying to know! Sound like fun? Good, cause I'm going with it! BTW, the questions came from Brooks over at Cotton and Boots. She nominated me for the Liebster award, and since I've done that post many times before, I figured I would answer her questions this way! 1. What was your inspiration for your blog name? This is an easy one. The Mr and I got married back in March of 2012, and this blog became "our" blog and we call it the Sowell life. Cause, you know, that's our last name. 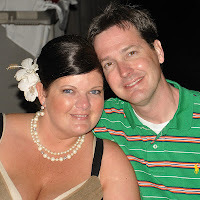 On a side note, before I was married the blog was called Confessions of a Southern Socialite. Before we moved to Alabama, I was the editor of a social magazine and that's how that name came to be. 3. What's your gulity pleasure t.v. show? Show? Make that SHOWS. How I love reality TV, let me count the ways... Real Housewives of Orange County, Beverly Hills, Atlanta, and New Jersey; Million Dollar Listings, Don't be Tardy, and pretty much anything else on Bravo; Keeping Up With The Kards, here recently The Bacherlotte and of course the Dance Moms. 4. If you have one last meal, what would it be? Without a doubt, fried chicken, mashed potatoes, peas, and cornbread. 5. What's your first blog you want to read during the day? That's a hard one, but whoever has posts on my sidebar that I haven't read the day before... that's where I start. If you don't follow any of those lovely ladies under "blog I love" go check them out. I love them all! That's why they are there! 7. You have to leave your home immediately - what are three items you must have? 8. When you get angry about something, do you hold it in or let it show? Boy, this is a hard one. I'm trying to do better, but I do let it show. I clam up, and refuse to speak. If, I'm really ticked off, you might even hear a rant or two. 9. If you could have dinner with any of the Presidents (passed or living), Who would it be and why? George W. Bush... mainly because he was the first President I was able to vote for, and I think his wife is pretty classy. 10. What was your favorite childhood memory? This answer mainly has to do with summer because I remember every summer day, we would go to the pool for at least 4 or 5 hours and swim our little hearts out. We'd play Marco Polo, Favorite Things, and dive for the colorful sticks. Another favorite about summer was going to a theme park with my parents once a year. Does anyone else remember Opryland USA? Man, I wish it was still open. I'm going with Darby, Stephanie, Suze, Nadine, Katelyn, Sylvia, Jenny, Jessica, Megan and Lauren! 1. Out of the 24 hours in a day, what is your favorite time on the clock and why? 2. What is your favorite magazine to get in the mail or buy in the store? 4. What's your best memory of high school? 5. What's your go to website for shopping? 6. A blogger who inspires you? 8. What's a book you'd recommend to read? 9. A favorite recipe you love to make? 10. Your favorite app on your phone? 11. You've got an afternoon kid free and job free, what would you do? 12. The restaurant you always crave? Even if you aren't tagged, feel free to grab the questions and post about them. Just be sure to let me know you have one posted so I can head over and learn more about you, too! Thank you friend! I love a good Q&A! I'll be tacking mine onto the end of my Friday Five since I have my Wed & Thurs posts written and scheduled already! Moi? Why thank you my dear! Loved reading your answers and will have fun answering my questions! Enjoyed getting to know more about you, Joy! I love your blog! Haha! That apple juice comment made me laugh! Sweet girls drink OJ too! :) And YEAH for Dance Moms! Love that show! I love all your answers- had me laughing out loud! I'll be posting mine on Friday. Thanks for the tag- this is cute!